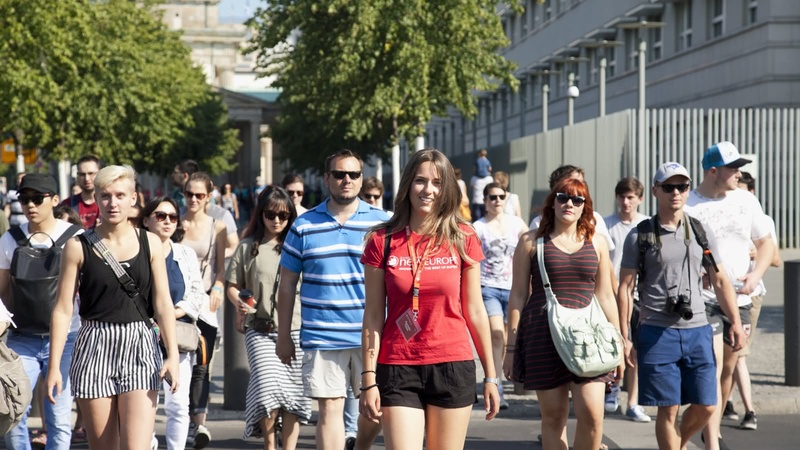 This 3-hour FREE Berlin walking tour will show you all the top attractions in the city. 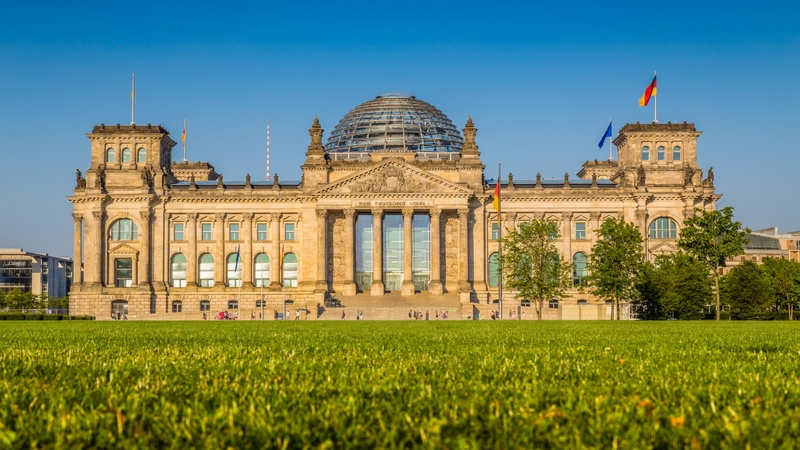 Local experts will take you to must-see spots such as the impressive Brandenburg Gate, the impactful Memorial to the Murdered Jews of Europe and show you parts of the infamous Berlin Wall. 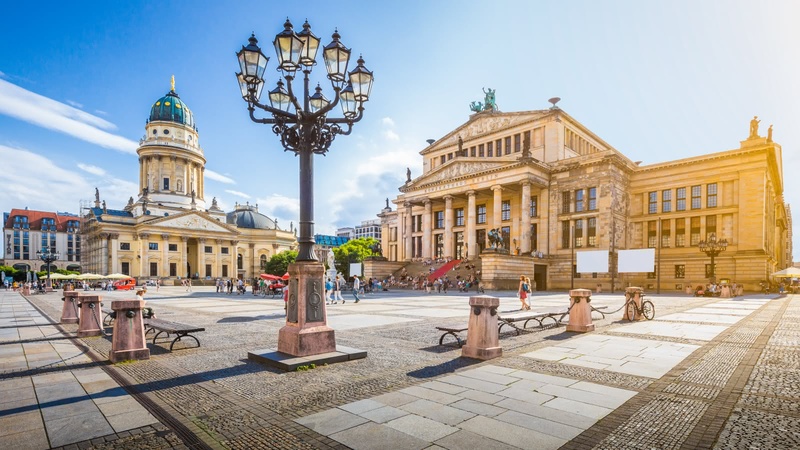 Explore the historic Berlin streets that defined the 20th century like no other city. 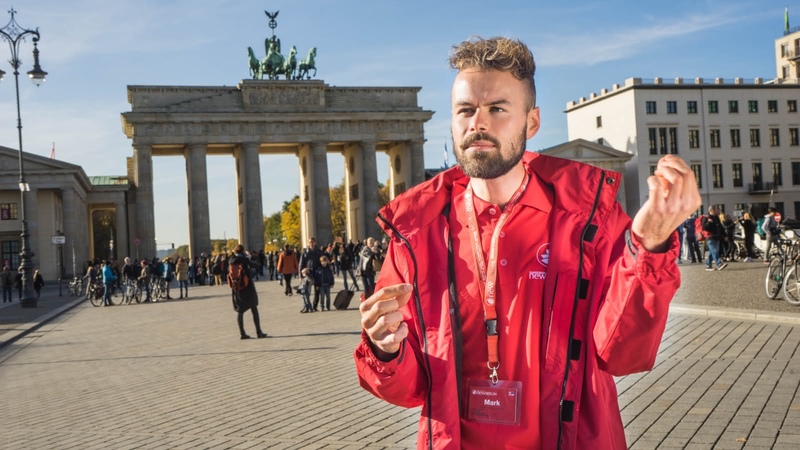 Your FREE city tour of Berlin meets daily in front of the Starbucks at the Brandenburg Gate (S/U-Bahn Brandenburger Tor) and finishes at Bebelplatz. 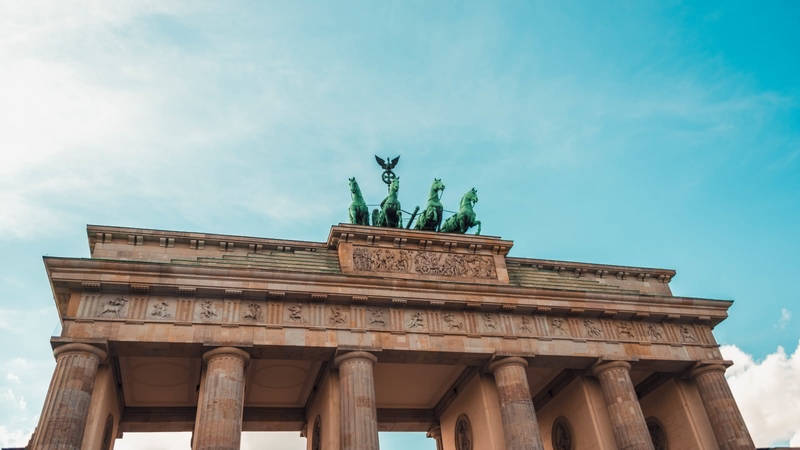 Join us on this introduction to Berlin, a great way to orientate yourself in the city and at a price to suit everybody’s budget. A booming turn-of-the-century metropolis left destitute by the First World War, Berlin led the way in avant-garde art, music and literature throughout the Golden Twenties before Hitler’s rise to power in 1933 made the city the infamous capital of the Third Reich. 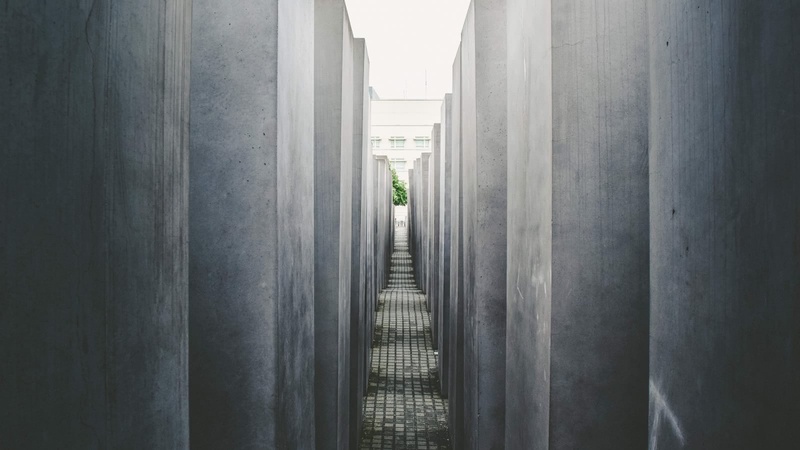 Visit the site where Nazi Germany ended – Hitler’s bunker, and reflect upon the lives lost and how we can ensure that history does not repeat itself. Berlin’s troubles did not end with the death of the Führer. Divided for occupation by the Allies after World War II, Berlin became the last frontier and flashpoint of the Cold War, symbolized by the jagged scar of the Berlin Wall cutting through the center of the city. Stand at Checkpoint Charlie and listen to how a fault in communication led to the checkpoints being open and the wall coming down. Your guide will also take you to see parts of the wall that still stand today. From a symbol of division to one of unification – the iconic images of Berliners celebrating as the wall fell in 1989 are famous around the world and represent the dawning of a new era for united Germany. I was a bit apprehensive about doing the free tour as I've had mixed experiences in the past, but on this occasion we had a great experience. Firstly, the large group was split in 3 so there were just over 20 people, a good size. We were lucky enough to get Martin, who was wonderful. He is a Berliner, so you really felt like he was telling the story of his own country and people. He gave exactly the right amount of detail and had a very engaging delivery style. I got chills when he related his last story and the temperature was 36 degrees! Highly recommended for your first day in Berlin to get oriented and get a start on the historical perspective. 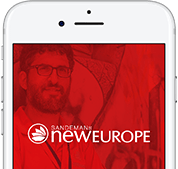 We have done a few of the Sandemans free tours now and they have all been very good, and this was no exception. Sarah from Melborne was an excellent guide, very knowledgable and easy to listen to. It was an exceptionally hot day and she did her best to always speak to us in the shade which was very welcome. The free walking tour is the absolute best! We did the earlier 10am tour with Lizzy and was an absolute blast! Less hot than the later times too which was good! Lizzy the tour guide was so fun and outgoing, and was so knowledgeable. Any question you threw at her she could answer back. She also gave the best recommendations on where to eat, where to get steins, what beer to drink and what else to see and do if we missed it on the tour! Highly recommend doing the free walking tour in Berlin and other countries where it’s available, recently went on the Paris one and that was just as great! Our guide Rob Willis was an amazing guide who made learning the history of Berlin interesting and exciting! He shared unique facts with us and took us to all the major sights in Berlin. He even offered nightlife and restaurant suggestions to everyone after the tour. 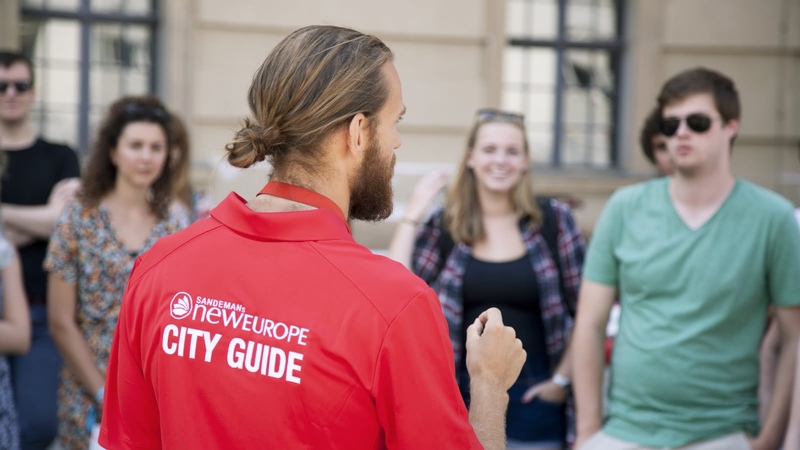 I really enjoyed this free tour and would recommend it to anyone who is visiting Berlin! Theo was hilarious, awesome free tour and a great way to spend your first day in the city! Lots of jokes, super knowledgeable and gave awesome dinner recommendations too! My partner & I did the free walking tour with Zabi yesterday and we had a fantastic time. Zabi was super knowledgeable about the history of Berlin & gave a bunch of useful tips about the city especially in regards to best muesums to visit. Would recommend these tours.